Interesting! I've never seen veggie tacos like this before. 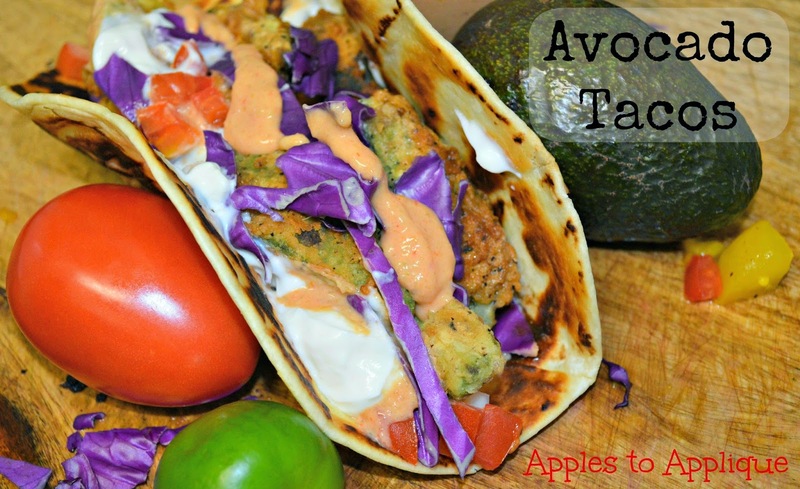 How does frying the avocado affect the texture? Surprisingly, the avocados hold up really well! I wouldn't recommend over-ripe avocados, but other than that they seem to work fine! Yes, making fish tacos and avocado tacos makes for a happy compromise. :) I hope you enjoy! FRIED AVOCADOS!!!! Oh. my. word. Pinning right now. 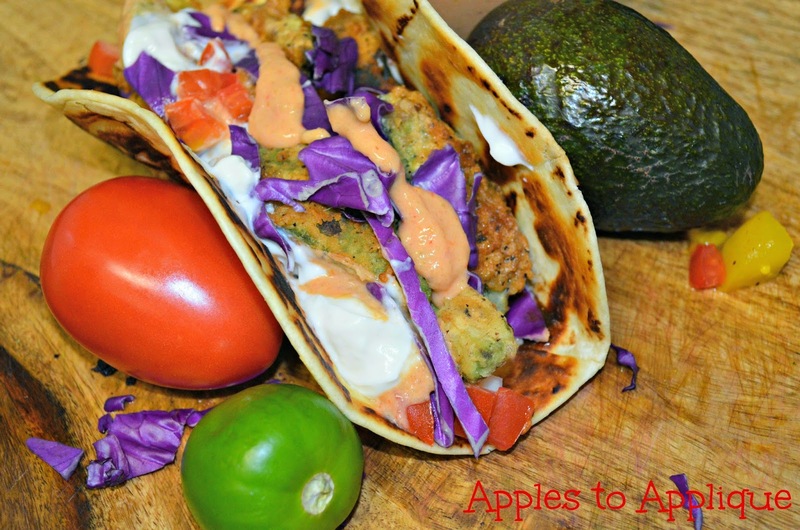 I know--I love avocados and fried food, so the two together is heavenly! Thanks for the pin! OK. I'm getting avocados tomorrow and having this for dinner!! These look AMAZING!